Movable type is similar to woodblock printing which was the subject of last week's Refined Reader. In this case, instead of using wood for each character block, metal is used, which is more durable and created better looking letters on the page. 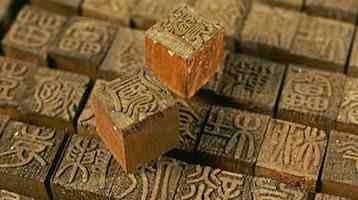 Movable type was first invented by Bi Sheng in China, around 1040 A.D. However, movable type was not as practical in China because there are thousands of letters in their alphabet. In 1450, Johannes Gutenberg, of Germany, further developed the idea of movable type when he invented his printing press. 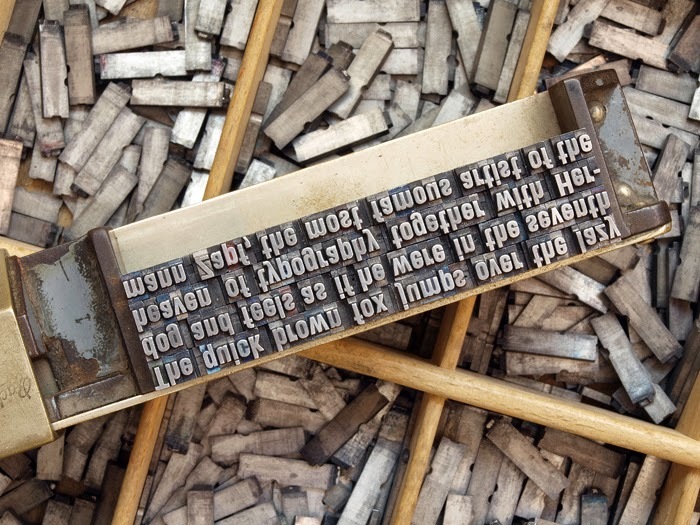 Movable type was not widely used in Europe at the time, despite having been invented in China centuries before, but Gutenberg changed that by creating a method that was easier and more efficient in manipulating the movable type pieces. Some of the innovations Gutenberg came up with included a specific metal alloy for the letter pieces which made ink transfer better, a hand mould which held the letters, a mould that could create the letter pieces more easily, and an oil-based ink which was more durable than previously used water-based inks. Gutenberg's printing press revolutionized European history and is thought to be one of the main factors in the beginning of the Renaissance. Mass production of books made the spread of books, information and new ideas much easier in Europe and it also led to the invention of the newspaper. Because of the printing press, printing output in 1600 could be around 3,600 paper impressions a day, while in Asia with printed paper done manually, the output was at most 40 pages a day. This also meant that with large copies of one book available, certain books could become true bestsellers. But there were other changes to reading habits - over a long period of time reading moved from predominantly oral to silent, authorship became important and profitable, and it helped to standardize spelling and syntax. It also led to the need for copyright laws and of course a rise in the literacy rate. It's truly wonderful to think how such a simple invention - the main idea of which was just a better way to press the shapes of different letters to paper - could so change the course of history for the better. And even though I learned about the printing press in school, I didn't realize how much it has impacted the way we read and our relationship with books! Burton gets the sad news that his impending execution won't be overturned. He's devastated because he knows he's innocent. Meanwhile, a kid witnesses a man's car skid on wet pavement and hit a lamp post. The kid goes over to the man who is badly injured but the man manages to make a confession. Burton is innocent, the man killed the pawn broker, and the murder weapon is under the back seat of his car. Now all the kid has to do is tell someone so they can stop the execution. But no one is listening to him. This type of story is the worst to listen to - not in a bad way though. Just in the suspense of the kid trying to tell people what he knows, and everyone dismissing him. You just want to yell at these people! Not that the kid is very good at explaining matters. It's so predictable how this story goes though - there's no surprise that the kid will eventually get his story out. It's just so ludicrous how long it takes him to make someone listen. 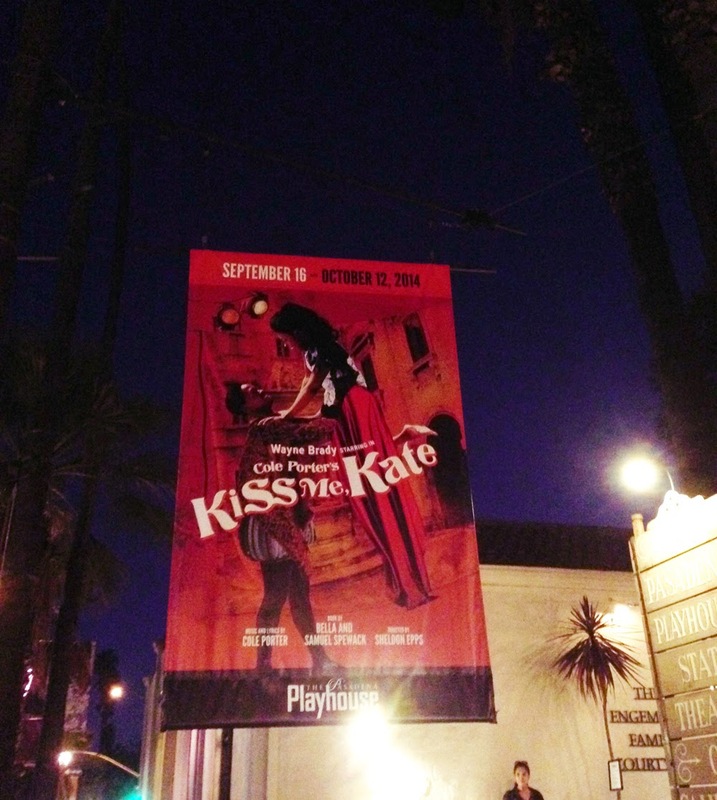 Last week I went to see a musical called Kiss Me, Kate. This musical is based around Shakespeare's Taming of the Shrew, so yay for a bookish connection! I've not seen this musical before, or heard much of the music (except I adore the song "So In Love" which was used in a biopic film based on Cole Porter's life called "De-Lovely- great movie! And soundtrack!) But because of the Shakespeare connection and that song, I've been wanting to see this show for awhile now. Bonus that it's starring Wayne Brady too - who I love from Whose Line is it Anyway?. And while I'm digressing all over the place - my favorite cover of a Beatles song is Wayne's version of "Can't Buy Me Love". It's all smooth, and jazzy - so gorgeous! First off, my friend and I got there early to grab dinner before the show, and who should I see sitting outside at an outdoor cafe, but Wayne Brady talking with another actor! OMG. I dithered sooo long over whether or not to go up to him and say hi and ask for a picture, because it was likely I would see him after the show, but what if something happened and I didn't get to see him? But when he and the other actor got up to leave, I darted over. And they were very nice, and let me take a picture. And I'm glad I did it before the show, because after was a bit awkward since a lot of friends of the actors were hanging around and talking with the cast. Now about the musical! It's great fun - slightly silly and campy - with some catchy songs and great dance numbers. The show has a jazz influence and I think this production gave it an extra bit more - the title number "Another Op'nin', Another Show" alone had this brilliant soft and sultry beginning as one of the characters wanders through the set. The musical has a show within a show set-up because the characters are putting on a musical production of Taming of the Shrew, and backstage relationships kinda mirror the relationships in the play. Which is to say, the whole dynamic between Fred/Petruchio and Lili/Kate is still a bit uncomfortable to me. The whole you-must-be-a-dutiful-wife thing is not a great message, and the musical doesn't do much to temper that by changing up the dynamic in the actors' relationship. I also didn't understand why Fred and Lili made it up so quickly since they are divorced so presumably there must be problems they are not addressing. Um, but I'm probably taking this too seriously though since this as this show is supposed to be fun! My favorite parts of the show were the songs "I Hate Men" (sung by Kate with ALL the vitriol), "Too Darn Hot" (which had a great tap dance number and so much humor in the lyrics - the ensemble really pulled out all the nuance from those lyrics), and "Always True to You in My Fashion." Bianca/Lois was sooo funny in this - she presents her best face to her boyfriend when he's around, but shows her other side to the audience. And the actress playing Lois has such a fantastic voice. The whole cast was excellent in this - this was only the third night of previews, but they seemed very comfortable with each other. 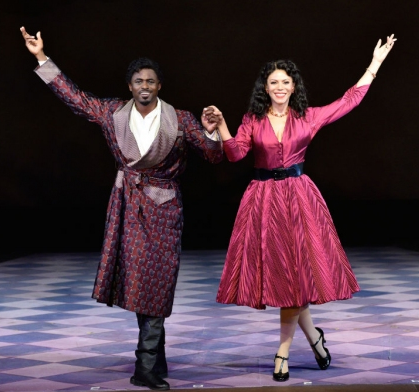 And the two stars - Wayne Brady and Merle Dandrige - well I'll just gush more here - they are excellently cast, and perfect for pulling all the humor out of their roles. The romance part was well done, but I was not as invested in that - given my problems with the dynamic between the characters mentioned already - but I think they brought the characters and the story perfectly and vividly to life. I really enjoyed seeing this and hope to see this again at the Pasadena Playhouse before it's run is over! The Old City Lay Dark And Cold...It is night. And Edmund is alone. His mother is gone. His aunt, who went in search of her, is dead. His sister has disappeared. Edmund has no one. Except for a stranger of the night.A dark, mysterious stranger who flees from demons of his own...who follows Edmund with grim determination through the cold and shadow city, promising to help, but often hindering. A stranger who needs Edmund for purposes of his own! I read this more for the nostalgia of reading a book like the ones I read in my youth. They were usually simple, absorbing and suspenseful stories and this book fit that bill completely. The character development is light, it's mostly about the plot and the mystery. Edgar Allan Poe is a character in the story - and the story spins him into a character with many flaws as an alcoholic and a man consumed by his art and his imagination. It sounds true to the idea of Poe, but it also makes the character unlikable in the story. I'm not sure how I feel about that actually. Not because I'm outraged on behalf of Poe, but because with a story that pairs him and a young boy with a mystery that needs solving, it would have been nice if they made a good team, instead of consistently suspicious and angry at each other. 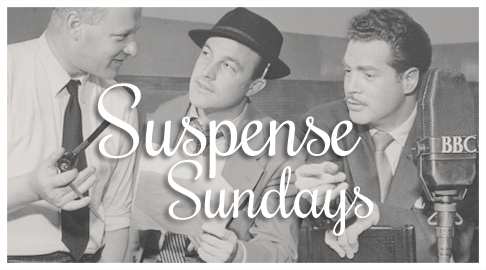 It does work on some level in the story though, to create more suspense and tension. The mystery itself was well done. It seemed simple, but gradually many red herrings were thrown in which made it difficult to figure out what was really happening. 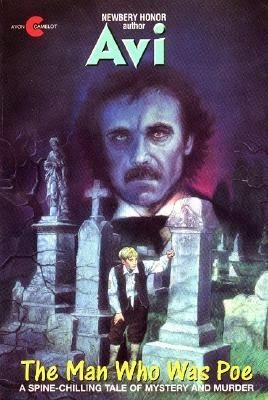 The story also honors several aspects of Poe's works, especially his Dupin mysteries which was nice to see. As a mystery this is an engaging story that is crafted very well but I unfortunately didn't feel all that enamored with the characters which probably means this won't be a very memorable read for me. I'm going to start a small series on The Refined Reader on printing, starting with the oldest known method of printing called woodblock printing. Printing in this case is the reproduction of text or images using a template. Woodblock printing originated in China, around 200 b.c. and is basically like using a stamp to reproduce the text. This could be done in two ways however - by pressing the block to the paper or cloth (like a stamp) or by rubbing - placing the paper on top of the woodblock and rubbing the back of the paper with a smooth flat item. The idea of using a stamp for making marks was not new at the time - many clay tablets in ancient times had markings made by stamps or seals, but woodblock printing was on a larger scale. The origins of woodblock printing is strongly associated with Buddhism, because sutras, or manuals, of Buddhist teachings were more widely circulated through these printings. The earliest known print is the Mugujeonggwang great Dharani sutra which is a Buddhist text. At the time, 1 million copies of the sutra was printed for distribution. Chris and Toni Stewart are celebrating their anniversary by returning to the hotel of their honeymoon. Through a window, Toni sees a man strangling a woman in Room 203. The manager checks, but no one has been in that room for the past 48 hours and there's no sign of any disturbance. Toni still maintains she saw something, but she has a secret. She had been in a hospital some years ago for a mental breakdown. While the whole mental hospital was a bit of a twist to a story that I feel is pretty common of a someone seeing something that couldn't have happened, to only have that thing come true - this story does make the most of the concept with even more interesting twists. I did think the title Room 203 was just innocuous enough to indicate that this would be a properly scary or unsettling story, but that's not really the case. This is a pretty straightforward suspense tale. Although this is definitely a book I should have read when I was younger, I feel like this was also a great book to read for the first time as an adult. Because Anne's character is so bright and full of life, and that's something I wouldn't have appreciated as much when I was younger when I wouldn't have recognized how important it is to have that zest. It's sort of remarkable how much Anne's character fills up the narrative. It's glorious really to immerse yourself in this story and feel like you are in Avonlea with the beautiful scenery and these characters that feel so real and familiar. This was a beautiful story, with so many poignant, funny and heart-warming moments. 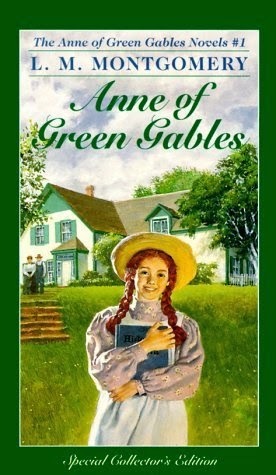 The book is made up of a series of events in Anne's life as she's growing older. It seems like she does grow up so fast too - I felt just as affected by it as Marilla. It's powerful writing when such a seeming simple story can be so moving. The setting is such a strong character in itself too. Anne's descriptions and her enthusiasm for Avonlea makes the place come alive. As does the author's way of painting a character's portrait in well chosen words that show off particular character traits. While the story is a simple coming of age tale, it's the brightness of the setting and the characters that sets off the imagination and really makes you fall in love with the story. I'm so glad I finally read this book! The last season! Although I still have the films, I felt this one was more of an ending - probably because of how much the final episode was so much of a wrap-up and a goodbye to the series. The Original Series didn't get that luxury. So I was pretty sad when I got to the last episode. But there's still so much more Star Trek to explore, so I will shake that off now, and talk about what episodes I really enjoyed this season! This episode was a refreshing surprise, since I wasn't expect what felt like an old-fashioned ghost story on this show! 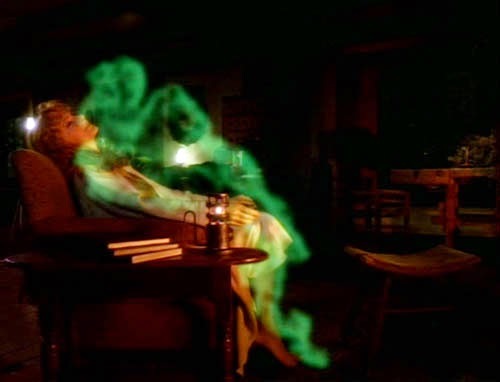 Of course it has a logical explanation but with the setting of a planet made in the image of Scotland, and the fear that Dr. Crusher needs some serious help because she's being controlled by this apparition-like entity, this has the feel of a good old-fashioned Victorian ghost story. It's pretty creepy as well, because Dr. Crusher is so changed and so dependent on this ghost, and it's very unsettling to see her this way. I did enjoy how Picard seemed especially upset with Dr. Crusher and her new beau too - they really need to be a couple already! They did something really different in this episode by focusing on four junior members of the Enterprise crew. This story revolves on their perspective and I really loved seeing this new side to the Enterprise and how the other officers saw their command crew. This episode works on so many levels, because we see a bit of how the bridge crew must have been as junior officers - trying to work their way up in Starfleet - and we see how insular our view of the show has been with just the bridge crew as our perspective. There really is a lot going on in this ship. Just as a little thing - I was surprised that junior officers shared quarters! I thought there was enough room for everyone to have their own quarters! I do love it when there are glimpses into the mundane realities of working on a ship like the Enterprise, and it was a bonus that this episode created such well-rounded new characters to carry the whole episode. Not happy that this episode had a sad ending by the way. I can see why they did it, but I don't have to be happy about it. This episode begins with Riker and company thinking Picard is dead. And from a fate that seems pretty final. So that's a nice shocking opener. Of course that is not the case, and the investigation into what happened to Picard makes for a wonderful spy thriller story when Riker is captured and has to pretend to not know Picard. 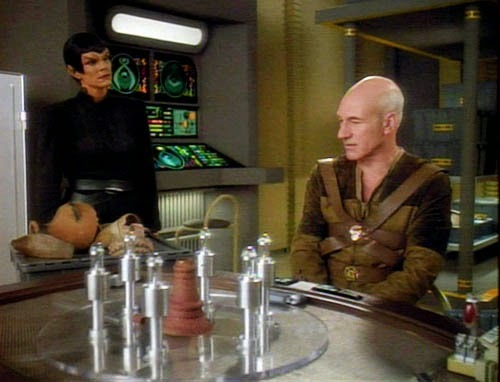 This two-parter episode changed up the usual formula of the show in a great way because Picard has to be such a different person, and the introduction of new characters and shaky alliances made for some great suspense. Even though we know that Picard is a formidable person, I love that there are still more ways to reinforce that. And normally a resolution like the one this episode had would seem hokey or even a cop-out to me, but it was so well done in this - the clues were all there, and it made complete sense. This was the feature length series finale, so they had to make it very special. There's time travel in which we get to revisit the first episode of the series (so cool!) and also a future where all the crew have settled into separate lives. I definitely wanted to know more about why Picard and Beverly didn't make it as a couple, but there are more important issues in this episode. Unfortunately it's the return of Q, and while I love everything that this episode did in terms of revisiting and examining the past seven years of the show, I just don't like Q. Him or his people - I don't see why humans need to be extinguished when no one is bothering to do away with the Borg?? Hello Q people there's a bigger problem! Talk about small minded. And for a being that is timeless, why is 7 years the absolute limit for a whole species to advance? That doesn't seem like a long time at all. Their logic is specious. I will say Q made me laugh for like the first time ever when he showed up as an old man which I guess was making fun of Picard being old too. ANYWAYS. I loved this episode for it's intricate plot, for the three different timelines and for seeing Picard have to work for respect in one timeline, have it in the second, and have it gained back in the third. Picard is such a remarkable captain - and it's good to see the crew trust so much in him. This was a lovely send-off episode. This episode was super creepy! The crew is being devolved into different stages of their evolutionary past, and that already is a terrifying concept. 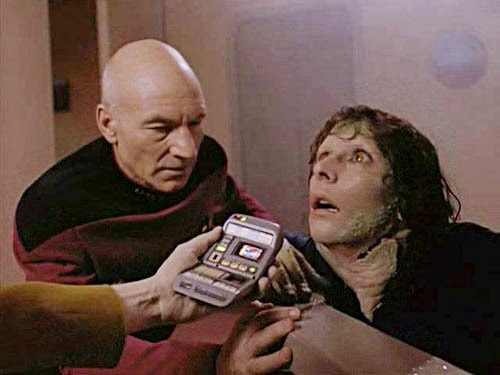 Just to see Picard's face when Data tells him it will happen to him was scary. I do wonder why some people stop devolving at certain stages. But the way the Enterprise is this safe port when Picard and Data leave, and then becomes a dark and threatening place when they return made this a wonderfully atmospherically creepy episode for me. Especially when characters that we know and love are dangerous and out of control. 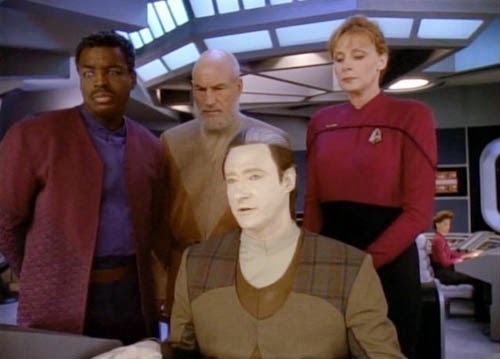 Also I realize Picard and Data as a team is kind of my favorite thing. 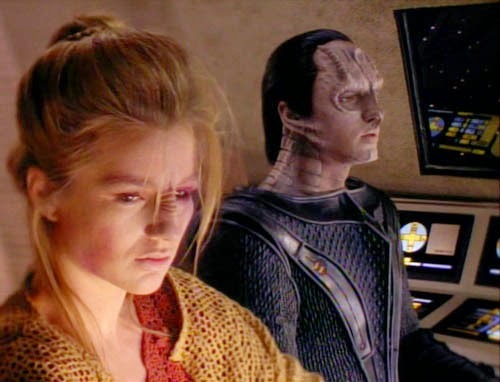 (Which means I super love Star Trek First Contact, but more on that later...) The effects, directing and lighting in this episode was on point I thought - it contributed so much to a great, tense episode. By the way, I thought what Troi was turning into was the most disturbing thing... until we saw Lt. Barclay turning into an arachnid. I'm with you Picard, I would freak out too. Update on Q: I was watching this reunion video of the cast at a convention on youtube, when John de Lancie showed up and I got all emotional that Q was joining them. So I guess I reluctantly accept him now? Geez, Q is so annoying though. 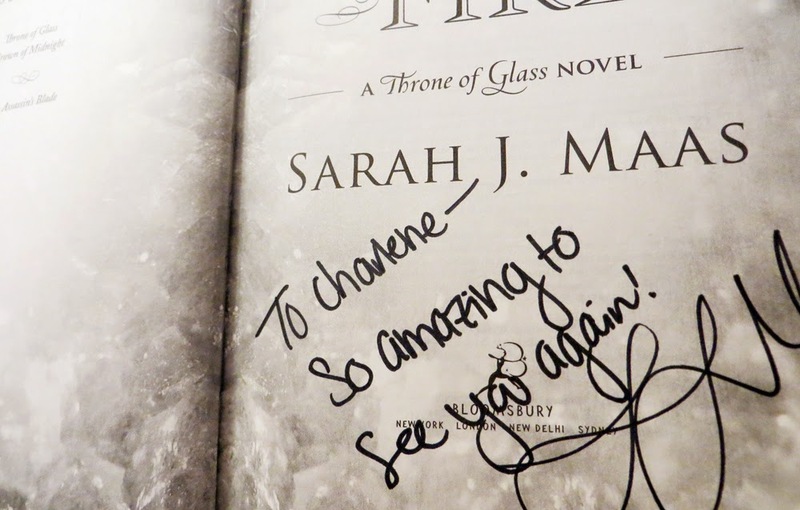 On Saturday I went to the Barnes & Noble in Glendale to attend the book signing for Sarah J. Maas's Heir of Fire (my review here!). Two other authors were there, who I was unfortunately not very familiar with - Robin Benway (author of the Also Known As series) and Nina Berry (author of the Otherkin series). Obviously I was there for Sarah, but I would like to check out those author's books sometime - has anyone here read them? I wasn't able to get there as early as I would have liked, and the seats in front of the stage area were already filled in, so my friends and I lined up in the back. And I wish I had taken more pictures! It was just so far in the back, that I wouldn't have gotten very good ones, and then of course as we were in line and getting close to seeing Sarah, I couldn't think properly! The talk before the signing was fun - I thought the moderator asked some interesting questions and to me Sarah was so funny - all her answers to the questions made me laugh I think! She also had a touching comment near the end about not letting anyone stop you from writing if that's what you really want to do, and when she was able to call her Mom and tell her that she was a NYT bestselling author, her Mom told her she regretted ever telling her to be realistic about her dreams. Sarah teared up, I teared up, I think everyone teared up, it was good times. 4. There's no expiration on your talent, you don't have to get published right now - live your life. Unfortunately since this was the last stop of Sarah's HOF tour, she had a flight to catch after and couldn't take as much time as she usually does at her signings (but I think she took much more time than she should have - according to the people who were handling the signing.) I love how she engages with everyone, and is just so freaking nice! I always try to think of something to say, but it was hard - I so wish I said more, I didn't even tell her how much I loved Heir of Fire! Cause I so did! Ugh, but whatever, Sarah is so good at making everyone at ease. Literally going to her signings are the best author interactions I've ever had. Ruth makes a visit to her regular psychiatrist and lets him know that today she plans to kill him. But first they talk over her issues which include Daddy ones, her falling in love with the Doctor, and his apparent lack of effectiveness as a psychiatrist. This is more of a character study of Ruth as she talks over her childhood, and her feelings which range from kind of icky (her fixation on her father) to her transference of feelings to the utterly calm and professional sounding psychiatrist. While I was listening, I was expecting some odd, unexpected twist, but that didn't come. This episode ended with more of a whimper than a bang, and I think for the most part it's pretty forgettable. List 10 books that have stayed with you in some way. Don't think too hard. They don't have to be the "right" books or great books of literature, just ones that affected you in some way. I'm not really big on posting to Facebook, but luckily this meme is book related, so I thought it would be more fun to bring it to my blog. So here we go! I loved reading these short magical stories when I was younger, and having them reinterpreted into Disney movies really cemented my love for them. They represent some of the best, most imaginative and clever storytelling - and it's even more amazing to know how old they are and how much they affected the fiction of our culture with their iconic motifs. This was my first real classic literature novel. I remember I started to read it when I was maybe 10 or so years old and couldn't get into it, so I DNF'd it (my first DNF?) but in high school I picked it up again, and loved it. The way the story was told was so different to me - way more mature, and it opened my eyes to the importance of a good exposition to set up characters. And the subtlety of the humor! At least it seemed very subtle to me at the time. It wasn't something I could really tell like a joke, but the humor was in the situation and the characters. And that was so eye-opening to me. 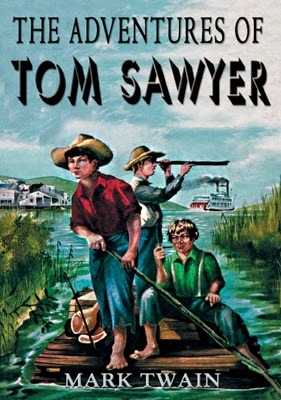 This isn't my favorite Mark Twain novel (that'll be Huckleberry Finn) but I'll always remember this fondly as the book that got me started reading classics. This is my favorite Poirot novel and I have such a particular memory of being unable to put this down as I was trying to read quickly before my class started. It was also raining on that day and there were worms all over the walkway. Ah. Memories. I loved this book for how different it was from the other Christie mysteries I read, and for how exciting the storyline was. Even if a bit improbable (I didn't notice that at the time though.) And I feel like this was one of the first times I ever had a book hangover, because no book could compare to the wonderful, thrilling conclusion, and the trick that Poirot played in the end. I have to put another Christie novel in my list, because this is the book that got me started as a Christie fan. I had seen the film version before and I knew how the murderer committed the crime, but I still couldn't put this book down. It was a great lesson for me in how important character and atmosphere is to a story because it was those things that kept me glued to the pages. This is such a brilliant book, and after being such a fan of mysteries as a child, this book showed me the pinnacle of the genre. I can't remember what first made me want to read this book - or if I heard the radio series first (I think I did...) but the droll British humor, the clever and silly story, and the lovable characters won me over immediately. I adore this book (and series, and every iteration) because it was the first time I really appreciated a book that could make me laugh so much. This story is a wonderful adventure, but it's also one that makes you think about your place in the universe, and just how ridiculous humanity can be. 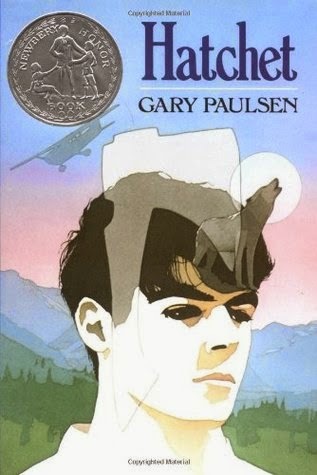 A friend recommended this book to me and it was pretty much my first introduction to the modern YA genre, and really captivated my imagination. I so loved these characters, and the immediacy of their emotions. It felt like they were very real to me, which is an aspect of YA that I love. And the romance was just lovely. As a side note - I think this was one of the first books I really pressed my Mom to read and while she wasn't that enamored with it, after the movie came out she loved it. Now I get to press more books on her and sometimes she will read them. Win. When I finished this book, I was ruined because I was only in the mood for a book that would make me feel just as completely invested in the characters, which was hard to find - thankfully Stephenie Meyer had a book recommendation on her website which I followed through on - a little book called The Hunger Games. I am so fond of Twilight as my gateway YA book. I read Hatchet when I was in grade school, and it had a pretty big impact on me. I have not read it since, but I remember some parts of the story so well - like I had actually been there. This book was a great introduction to survivalist stories with it's beguiling mix of adventure, danger and perseverance. The story is so much in Brian's head too, so we get a great perspective on his thoughts and his reasoning. Because of this book I knew not to eat unknown berries in the forest (nevermind that I'm not near any forests), I can possibly make fire by striking a blade against the right kind of stone, and I realized I really wanted my own kind of cave hideaway. And then there's the appreciation of nature and fantastic character growth in Brian as be becomes more self-reliant that really appealed to me as a kid. This is such a cute and fun story - a chick lit romance about a girl who takes an immersive Jane Austen themed vacation to get over her Darcy hang-up. But of course she finds her happy ending in a fluffy, charming romance. I love that part of the novel to no end - it makes me smiley with glee to get to the ending - but it's the main character's personality that really made this book stay with me. 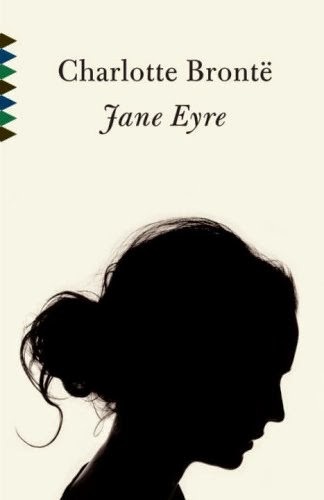 I understood and identified with her obsession with Pride and Prejudice (of course for me I would substitute another book) and her sense of humor about it, and the silliness of Austenland, while also wanting to let herself go in it would probably be just how I would react. And the idea of whether or not such happy endings in books can exist in real life is wonderfully explored in the novel. For chick-lit romance, this is my standard to which I compare all others in the genre. If it doesn't quite make me feel as giddy and as invested in the characters, than it has failed me. This is an epically long fantasy series (and possibly the longest series I've ever read at 11 thick books) but it is my ideal of an involved fantasy series. Everything works in these stories for me - there's lots of darkness, magic, quirky, endearing characters, and an epic romance. And above all, there is this philosophy of justice and the power of the individual and inner strength. It's such a satisfaction to me that in this series people get what they deserve. Not always of course, and not always immediately, but there are so many moments when people come to realize that they can't escape their punishment and that sense of justice always appealed to me. Just be kind, and things will work out for you. Even though each book can be very long, I was always so invested in the story that I didn't care, and I enjoyed diving into each installment. Sometimes I can feel overwhelmed with starting a long book, but after reading the first book in this series - Wizard's First Rule - I didn't mind the length at all. And I just saw this article that lists the most common choices from people who took this meme on Facebook. I only have two of the most common books on my list. 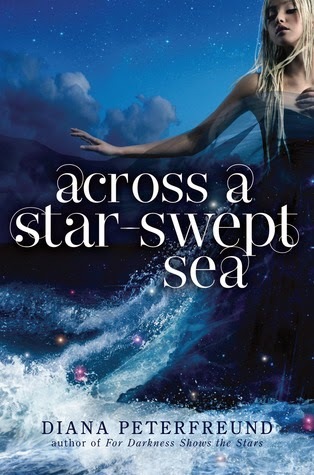 I did not read the first book in this series - For Darkness Shows the Stars - because I was so excited by the prospect of a Scarlet Pimpernel retelling that I couldn't wait. Consequently I am a bit confused by the drug/brain disease/reduction aspect of the story. It didn't really make sense to me, and for the most part all the scientific explanations for it was a muddle. Which is unfortunate because it's such a big part of the story. The fact that this is inspired by The Scarlet Pimpernel is also unfortunate to me because I love that book so much. And it created some expectations in me about this story that is probably not fair to the book. On it's own I think the story was entertaining, but I wanted to really believe in Persis as this great, daring and clever spy. She was pretty daring and intelligent, but it seemed like she relied too much on changing her looks and on her contacts to get her through. When something goes wrong, she can't overcome it without help, which is almost never the case in the Pimpernel stories. One thing I really enjoy about the Pimpernel is how he almost always has a plan to get himself out of a scrape. If you are coming to this book with the mindset that this will be just like a Pimpernel adventure but with teens, like I did, you will probably be a little disappointed. The story was not as much of an adventure tale as I thought it would be either because it relied more on the character drama and politics of New Pacifica and Galatea. I would have liked to see more of the missions, but instead there was more shown of Persis in her alter ego as a dimwitted socialite. With the romance, I did think it was sweet and nicely done, but I was not as taken with it as I wished. Partly because it's hard to understand why Justen felt so attached to Persis after only glimpses of her true self. And it did get repetitive at times with how much Persis was doubting Justen's motivations and yet wanting to believe in him. My review so far makes it seem like I didn't enjoy this book, when I really did actually. I did try not to compare it so much to The Scarlet Pimpernel, and on it's own, this is a very engaging story with great characters. There's enough danger and self-sacrificing heroism to make me happy with it's comparison to the Pimpernel, and the conclusion was in every way satisfying. This wasn't a perfect read for me, but ultimately I was entertained by the plot twists and the character relationships. The idea of reading to feel better mentally goes back to Medieval times when physicians would recommend reading (and writing) to treat melancholy. Shakespeare's Titus Andronicus has a line that refers to this as well - "Come, take choice of all my library/ And so beguile thy sorrow." The idea at the time was that reading something happy, positive, or encouraging would help you reflect on your situation and "heal the troubled soul." In 1916 the stages of therapeutic bibliotherapy was categorized by Samuel Crothers (who also coined the term) as Identification, Catharsis and Insight. That is, in the case of using fiction for bibliotherapy, the reader identifies with some aspect of the story, finds release in sharing with the character's feelings, and gains insight into how to apply that to dealing with their own emotions. In the case of using non-fictional works like self-help books, the process is much more simplified and direct (but less fun in my opinion!). The effectiveness of bibliotherapy really seems to stem from how helpful it is to get a new perspective on things. Reading is an internal process so it is useful in focusing the reader on examining 'self' and coming to terms with their emotions through the expressions of literature. 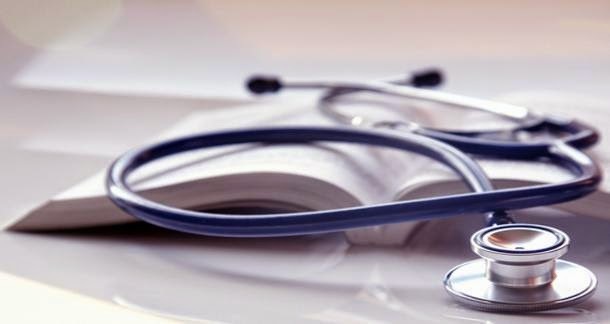 Modern views on bibliotherapy place it as an effective method of cognitive behavioral therapy to encourage people to replace maladaptive thinking with rational and realistic thinking. Bibliotherapy has been seen to positively treat OCD, bulimia, emotional disorders, alcohol addiction and depression for older people. I think for avid readers, the idea of bibliotherapy is not new at all. I know I can feel better curling up with a good book after a hectic day, and being able to experience new things through books is a great way to forget about everyday sadness. And this post came about because I was interested in the scientific aspect of why bibliotherapy works (which is only briefly and superficially examined here) and it's really comforting to have it confirmed how much reading is a positive and healthy pastime. Do you have favorite 'comfort' reads, that always cheer you up? What are they? "Like Man Somebody Dig Me"
A member of the Beat generation, with his easy going manner and funny slang is hitchhiking across the States to read a poem to the Pacific Ocean. The nice couple that stops for him seems amused by his views and his attitude until the radio reports a hatchet murderer on the loose, who looks very like the man the couple just picked up. (Or at least they are wearing the same clothes, and that's the same thing?) They leave him at the first gas station they come across with another very suspicious man, and the police soon stop by and arrest the hitchhiker. But he's being framed, right? A hitchhiker, and a crazed killer on the loose - that's a story I hear a lot in these old shows. 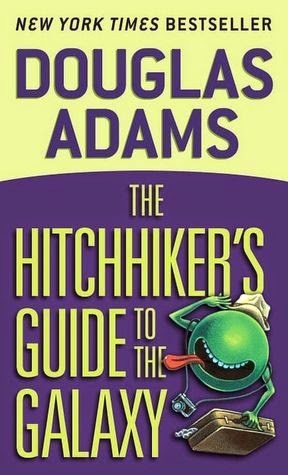 This attitude must be why we don't really pick up hitchhikers anymore. This representative of the Beat generation was a little annoying, so I can almost sympathize with the narrator's seeming disdain of their culture (apparently they like jazz which has no melody... errr....) But the predicament the hitchhiker lands in is pretty terrible. He certainly doesn't seem to deserve it... or does he... This is a mediocre episode really, but I love how ambiguous the ending can be - but I think I figured out what was meant. This was a book I was very much looking forward to reading. The time travel aspect was irresistible and non-linear storytelling can be so delightful. Overall I was very impressed with the clever plotting, the action and the time travel aspect, but I was let down in other areas. It was surprising to me, how dark this story was from the beginning. It is completely necessary though to show why the future must be changed. But I was just not expecting something so intense and bleak. The story moves very fast though - switching between a past and present POV - which is made even more interesting by the fact that the past can change, and the future versions of the characters are not aware of it. 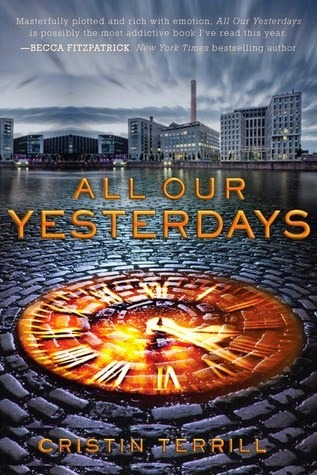 I loved the idea that there are different timelines at work and there are different versions of the characters that have tried to change the future. It's so clever and comes together in the story fantastically, as we gradually understand more about the past. The romance in this story was pretty bland for me. I was just not very invested in it. Thankfully it's not a major part of the book, as the story is understandably more of an action/thriller type narrative. I did want the best for the characters and I was glad when they grew to appreciate and love each other, but it didn't really move me unfortunately. It's possibly because Em was a little frustrating for me at times. I was upset with her for not acting when she needed to, especially after all she's been through. It was important for the storyline for her not to act sometimes I suppose, but I really felt the more she hesitated that it was such a contrivance, and her lack of action was not as believable to me. This was a great read overall, and very intriguing in every way. I was so impressed by the storytelling and the world-building - the time travel aspect was believable, and it was great to have some science to back it all up. I wish I liked the main character more, but it was enough to find this a largely captivating read. Brent Spiner's "Ol' Yellow Eyes is Back" and "Dreamland"
This is the inevitable consequence of my newfound love for Star Trek The Next Generation and Data! I'm always excited when my favorite actors sing as well, so when I saw that Brent Spiner released these two albums, I looked them up post haste! Luckily I love the old pop standards from the 30s, 40s and 50s, so I especially enjoyed these albums. And of course I enjoyed Brent Spiner's wonderful voice! 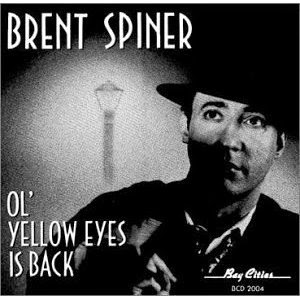 Ol' Yellow Eyes is Back was released in 1991, with a lot of help from the Star Trek The Next Generation crew - the orchestra on the album is the one used in scoring the show, and it's also co-produced by the composer of the show's music. The album features fairly classic and straightforward interpretations of pop standards. I think it's a great collection of songs - from soft ballads like "Embraceable You" to upbeat "Toot Toot Tootsie" and "Zing! Went the Strings of My Heart." The most memorable Trek related aid is the backing vocals in the song "It's a Sin (To Tell a Lie)." 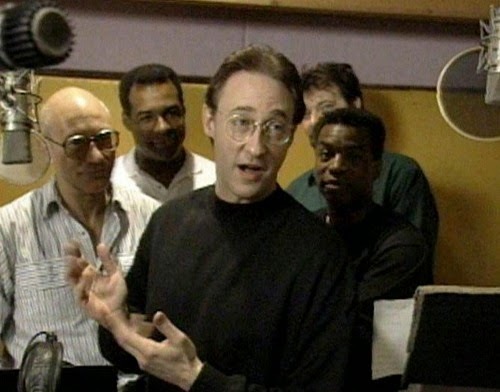 Patrick Stewart has a spoken word portion in the middle, while he, Jonathan Frakes, Michael Dorn and Levar Burton sing backing vocals. It just delights me so to hear it even if the song isn't my favorite. Unfortunately this album is out of print, but it's not too hard to find if you visit youtube! Dreamland is an interesting album because it is like an audio musical - or like a radio show musical. And the more I listen to it, the more I am obsessed with it! 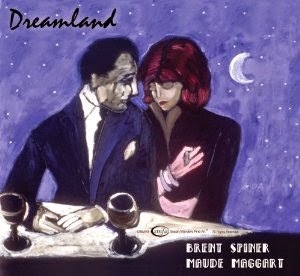 The songs are the old pop standards, but there is a storyline with Brent and Maude Maggart's characters - a love story set in a dream. The story itself does have some cheesy moments (rather reminiscent of old radio shows however) and it is a little predictable, but there's such a sweetness in the characters and an earnest melancholy in their hopes, especially in the second half of the recording (which fares better story-wise in my opinion) that I felt very enraptured by the mood and the atmosphere of this album. In addition to all that, there are delightfully humorous moments, a great performance by Mark Hamill who does many different voices, and some absolutely wonderful song choices. I am a little biased though since some of my favorites are featured - like "What'll I Do? ", "Some Enchanted Evening", "You Were Meant For Me", and "Let's Face the Music and Dance." (I'm absolutely obsessed with this version of the latter song btw). And to me, Brent's voice sounds better on this album. More natural and resonant which is the perfect complement to Maude Maggart's bright vocals. I haven't heard of Maude before, but she is so talented, I love the wonderful, clear and youthful sound to her voice. Even though I love this album as a whole, I do wish I had a copy of just the songs so I can listen to that sometimes. I think there is that option on Brent Spiner's website, but I was unfortunately unable to buy the album from there - something is up with that credit card form. Anyways, if I had to recommend one of his albums it would be Dreamland, but both are really great to listen to, especially if you enjoyed the (all too brief) taster Brent gave of his style of singing in Star Trek Nemesis! Heir of Fire is a fantastic expansion on the world-building set-up in the first two books of this series. There's more on magic, on Celaena's past, on the nature of the Fae and on the different kingdoms. This book intertwines three separate storylines to bring all of this to life - each storyline has fascinating character developments and an exciting conclusion, so that I found myself completely invested whenever each chapter changed to the new setting. I was really impressed with how the author brought all the threads together in the end, making this third book a very complex, well-structured fantasy with incredible depth. The characters were a major reason this book was so awe-inspiring. There are some new ones that just steal your heart (or crush it, as it applies) and I was surprised by how much I was rooting for fierce Manon, prickly Rowan and shrewd Aedion. Manon especially is surprisingly endearing for a character so vicious. Even though, at first, I was much more interested in what Celaena or Chaol and Dorian were up to, Sarah J. Maas really made me care about all of the characters in this book. And Sorsha! Such a sweet, kind, and seemingly ordinary girl who faces many challenges to become a very important part of the story. I was so rooting for her as well. The character writing in this book is just gorgeous. For most of the book, the plot more develops the potential of each character and the consequences of their actions, than focuses on actual action, although there are many suspenseful moments throughout. The last few chapters however were like fireworks - just great big explosions of I-Can't-Believe-This-is-Happening. Well worth thoroughly getting to know the characters involved and everything at stake to get to the surprises and revelations in the end. And Celaena shows yet again just how powerful she is, which is deeply satisfying given all the trials she goes through in this book. All three storylines really are emotionally satisfying and yet also emotionally shattering. This series continues to amaze me - it's complex, marvelous fantasy with wonderful character development and depth. Celaena is a heroine that continues to surprise with each unfolding aspect of her character and it's wonderful to know that all the attention on her throughout this series is completely deserved. I am absolutely addicted to this series! Enheduanna was a princess and high priestess in ancient Sumeria. She lived in the 3rd millenium B.C. (over 4,000 years ago) and her biggest claim to fame is that she is the first person we know of who ascribed her name to her writing - the first author we are aware of. 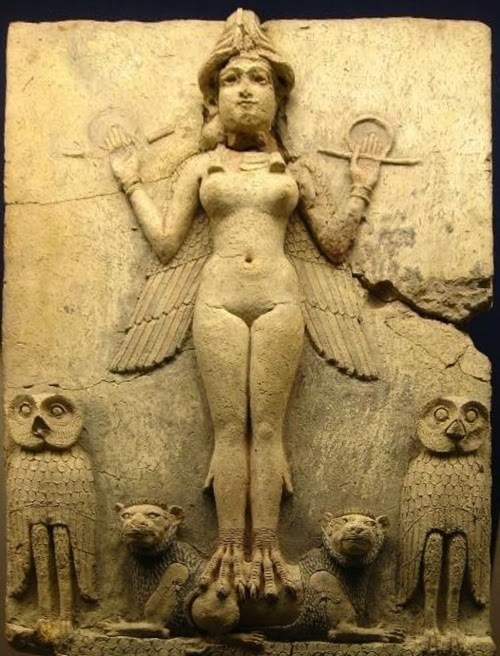 She wrote many hymms and devotionals dedicated to the goddess Inanna. Enheduanna was a priestess in her father's empire and worked to unite the local religions which in turn joined the city-states of the region and helped gain her father more power. She may have been the first female to hold the office of high priestess in which case her rule would have been an important occasion in their history. There was a coup during her time as priestess which caused her to be exiled, but she was reinstated some time after, which is detailed in her work "The Exaltation of Inamma." She composed over forty hymms which reflected her "personal frustrations and hopes, religious devotion, her response to war, and feelings about the world she lived in." Her hymms were very influential and inspired the forms and subjects of hymms and psalms of the Bible and the Homeric hymms of Greece. Her works are known as The Temple Hymms and contain a wealth of information on the life and beliefs of that time. It's inspiring to me to think of this creative woman as an author and a leader such a long time ago and how influential her work has been even if not many people have heard of her today.